Ms. Satoko holds a B.A. in Piano performance and B.Ed in music. She has 20 years of experience teaching children ages 4 years old and above. She also taught group music lessons as well as the most advanced piano students. Ms. Satoko received her Bachelor of Music in Piano Performance from the Osaka College of Music. She also studied harpsichord and chamber music at Indiana University’s master class in the US. 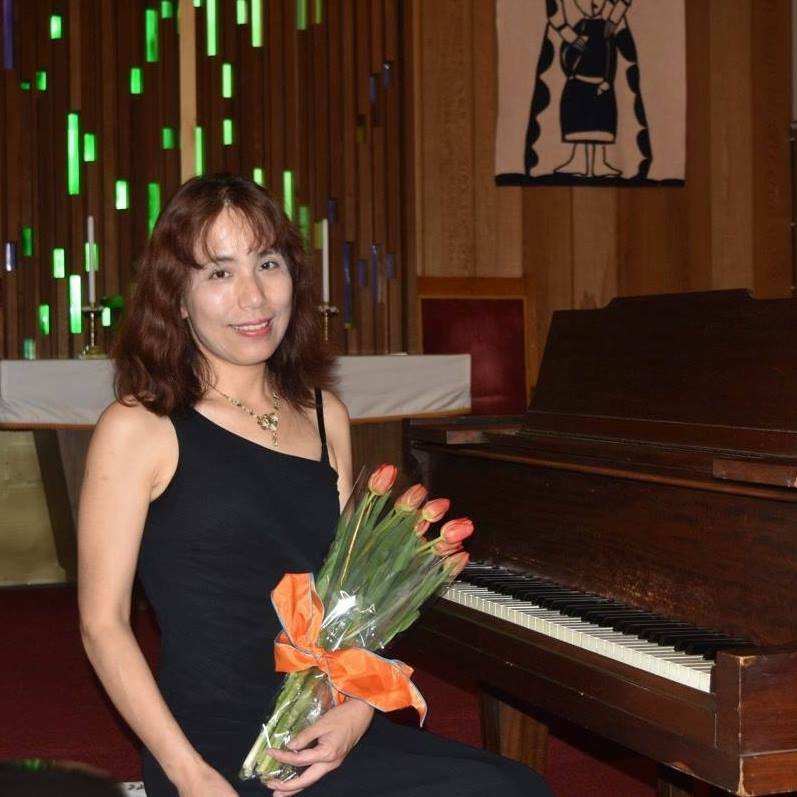 After graduation, Ms. Satoko taught piano extensively and arranged many performances in Japan. When she moved to the UK, she worked for the Yamaha Music Foundation of Europe and served as the head instructor of their Music Education System. She also acted as a demonstrator for their music educational videos. During this time, Ms. Satoko received the best pianist and organist awards from the Yamaha Music Foundation of Europe. She currently plays at concerts and also plays the organ at Sycamore Congregational Church. Ms. Satoko is the Member of California Music Teachers Association and prepares her students for Certificate of Merit tests and exams. Ms. Satoko lives with her husband, a high school senior son and a tabby cat.